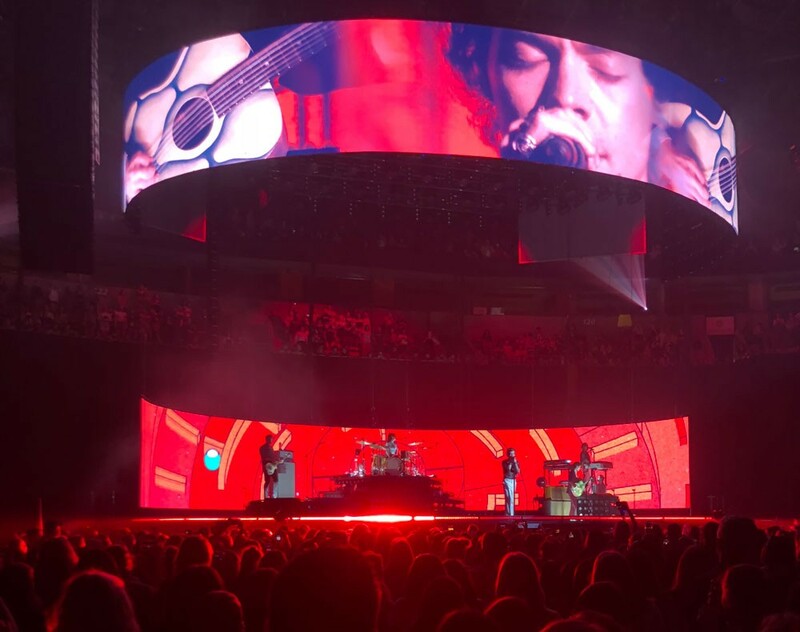 Harry Styles headlined at the Key Arena in Seattle on Saturday. 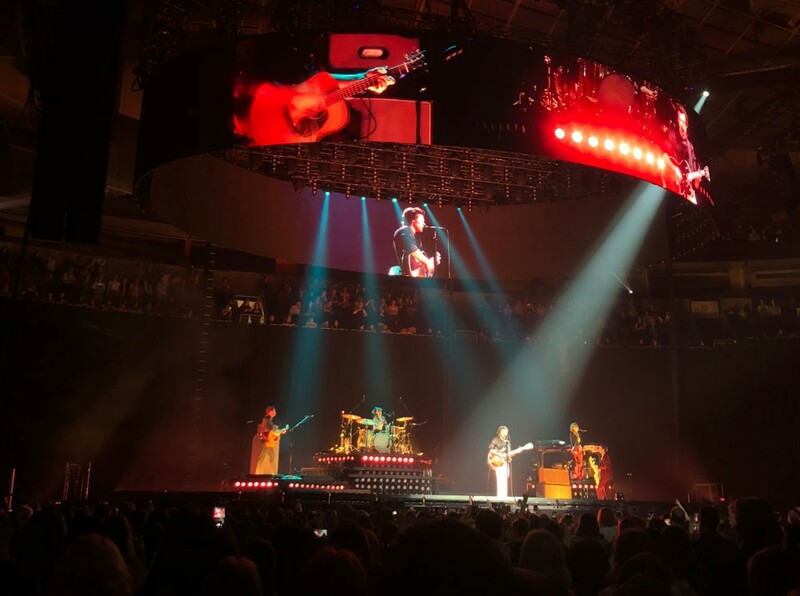 SEATTLE — With a crowd of thousands ranging from young girls with flower crowns to full-grown men in cowboy hats, Harry Styles enchanted all during his performance at Key Arena in Seattle on Saturday. Though he's touring his first solo album, Styles projected an air of confidence that made it seem like he'd been doing it for decades. Granted, he had plenty of previous experience from his time with boy band One Direction. And honestly, I'd be pretty self-assured too if I could make a crowd of people lose their minds by just flashing a smile. Ear-bursting shrieks erupted at the sight of Styles, who sported a sheer, sparkly top, high-waisted white trousers and a cheeky grin. He played the entirety of his self-titled album, but not before expressing his gratitude to the crowd for showing up to support an artist with only 10 songs to his name. In addition to his solo material, he played some new songs as well as a couple of One Direction covers, which pleased the inner 15-year-old in me immensely. Styles kicked off the show with "Only Angel," a biting, Rolling Stones-esque hit that shows off his vocal range. The 24-year-old not only channeled his inner Jagger through his music, but through his stage presence as well. His dance moves were all hips and flailing limbs, and we couldn't get enough of it. But the show was more than rock 'n' roll. It was a space where people of all ages seemed to come together to celebrate inclusivity. At the beginning of the show, Styles addressed the screaming fans, saying, "Please feel free to be whoever you would like to be tonight." Rainbow flags dotted the crowd, and Styles paraded his own around stage during a grown-up cover of "What Makes You Beautiful." Even Styles' opening act, Kacey Musgraves, an accessible country-pop artist with a sweet demeanor, emphasized the importance of being true to one's self. She sang about it in her song, "Follow Your Arrow." "Make lots of noise / Kiss lots of boys / Or kiss lots of girls if that's something you're into." Styles wasn't afraid to interact with the audience periodically. When he noticed a girl who was more fixated on the guitar player than him, he laughed and mouthed, "Watch me! Not him." He also took the time to sing "Happy Birthday" to someone in the pit with a sign that read, "I'm Charlie, I'm gay, and it's my birthday." I'll admit that I was a little surprised at the age range at the show. Though there were some older people, the majority of the crowd seemed to be the same fanbase that One Direction held, which includes A LOT of preteens. Former One Direction member Harry Styles is now in the spotlight as a solo artist. With his first solo album, Styles has left behind the boy-band sound and transitioned into music reminiscent of '70s rock, which I definitely didn't jam to when I was 12. It was heartening to see young girls screaming their heads off when Styles and company launched into a Fleetwood Mac cover, "The Chain," during the encore. Maybe Styles will be the one to bridge the musical gap between dads and their tween daughters. Regardless, Styles has taken on a bigger role than a young heartthrob musician. His concert was a space for where young people could feel comfortable in their own skin, and that's worth a burst eardrum or two.